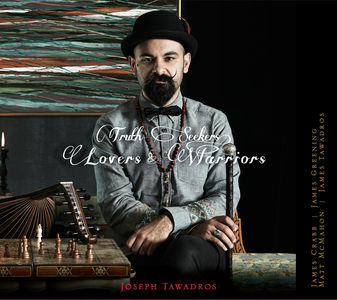 Immediately captivating, this twelfth recording by the Egyptian-born Australian Oud player, Joseph Tawadros is another extraordinary exploration of styles, blending authentic Arabic instruments and idioms with those of the West. The unusual soundworld created here combines Oud, Accordian, Trombone, Piano, Req (tambourine) and Bendir (drum), the latter two played by Tawadros’ brother, James. Other musicians are James Crabb, James Greening, and Matt McMahon. Composed by Joseph Tawadros, the music’s spontaneity shows a deep heart-felt connection to melody and rhythm (with all sorts of twists and turns), as he pulls all these elements into an array of outstanding pieces with a unique story to tell. From Odd Tango, to the centerpiece, Truth Seeker Suite in A, and the elegiac Three Sketches of Gallipoli (Dawn, Dusk, and Remembrance) replete with its references to The Last Post at the opening, there is a strong beauty that unfolds. Each player’s virtuosity comes to the fore throughout, resulting in a passionate display as melodies are thrown from one player to another, creating layer upon layer of an intricate musical tapestry. At other times, the reflective side of the musicians is shown, such as in Dream with Me, You Take Over, and House of Tomorrow. One Note Nostalgia, however, is an exercise in rhythmic and timbral discovery, with contrasts evolving throughout various registers and dynamic. This is a recording that should be heard many times, as it continues to excite the aural palette with its ability to reveal new sounds with each playing. This recording is a real gift of artistry to the world. There are a number of aspects which make this disc intriguing. Firstly, it’s exotic musical artistry, as it blends influences of Arabic, Spanish, and world musics with, at times, a sense of classical technique, is an aural delight. Secondly, we hear two pairs of brothers combining their passion for music in an extraordinarily creative outpouring. This is ground-breaking music as the four cross cultural and stylistic worlds, from world music to jazz, classical and traditional music. From the captivating opening track, Anubis, there is a youthfulness, vitality and dynamism to the performers’ virtuosity. Ten Ten, Freo and Sahara all display intricate and changing metres, whilst Journey is more contemplative in mood. Moon Beam is hypnotic contrasting with the energetic and assertive Lucca. Improvisation has been masterfully integrated with carefully structured renderings, such as the arrangement of The Beatles’s Blackbird, which holds the listener for more than 10 minutes. Slava Grigoryan (winner of 2 ARIA awards for Best Classical Album – Sonatas and Fantasies, and Saffire) has appeared with many of the world’s leading orchestras, including the London Philharmonic, BBC Concert, Sydney Symphony and Israel Symphonies. 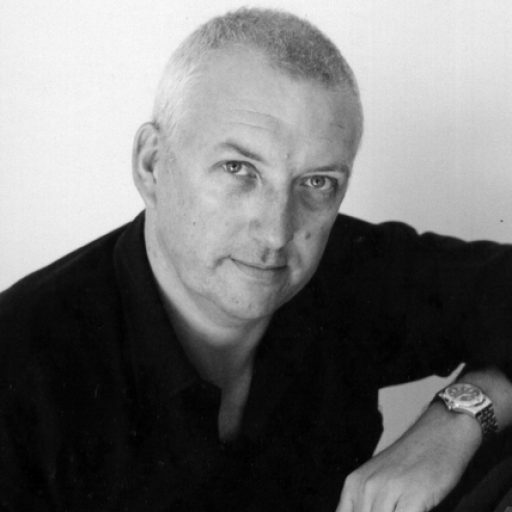 Brother, Leonard has performed with many prestigious orchestras, including the Melbourne Symphony and Queensland Symphony Orchestras, and has collaborated with artists such as Jane Rutter, Darryn Farrugia, and Jeremy Alsop. 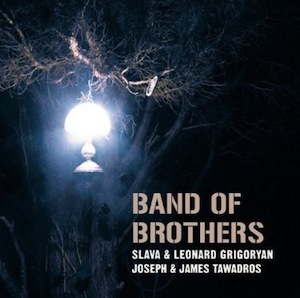 Joseph Tawadros is a master of the oud, whilst brother, James is a world-class percussionist specialising on the req (an Egyptian tambourine) for which there is a solo (and self-composed) track on this disc. Not only mulit-cultural, but multi-instrumental, these brothers are heard on classical, electric and 12-string guitars, guitar synth, oud, violin, bendir, cajon and req. Most of the tracks are composed by Joseph Tawadros, with Journey written by Leonard Grigoryan. All four performers are known in their individual right (all being ARIA nominees), but this is the first time all have appeared together on the one recording. It could be described as one super group as the two pairs of siblings display sibling revelry at its best!